Orangutans (or Pongo) are very special animals that are dying out quick. They are great creatures. Orangutans have 98 percent human DNA making them almost human. The name Orangutan is is Indonesian. Orang meaning "person" and utan meaning "forest" the native people called "person of the forest." 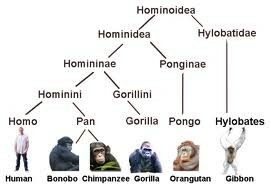 Orangutans are from the ape family and many years ago some evolved to humans. Orangutans have long rusty red hair that covers the majority of their body. They have human like hands that are useful with many things. 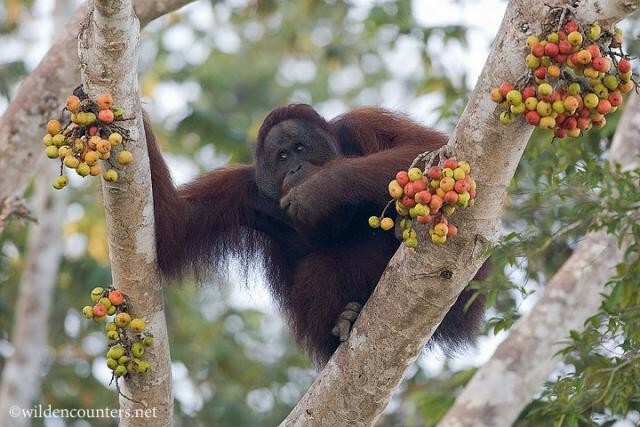 The male and female Orangutans are different sizes, the male is 1.5m tall and up 120 kg. females are 1.2m and up to 4.5kg. They have strong muscular arms that help hold them when they hang from trees. 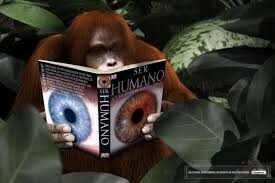 Orangutans are extremely clever and have been on known to watch and learn everyday stuff from humans. Including hammering nails into wooden planks and sawing wood into pieces. Orange tans will generally be fine around humans and it is safe for people on bush walks through forests that they inhabit unless they feel their young are threatened. Orangutans have great abilities but they have a lot if threats. Many people love two minute noodles but many of these noodles are made of something that is a major threat to Orangutans, palm oil. 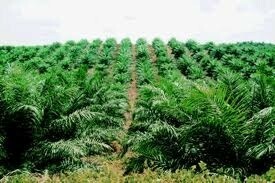 Palm oil s from a palm oil plantation where many miles a full of oil palms. Palm oils plantations need space and forests full of Orangutans get chopped down for it leaving Orangutans homeless to die homeless of starve. Populations are declining fast. 100 years ago there was 315,000 in the wild . Now only 6,600 Sumatran left and 54,009 Bornean left. 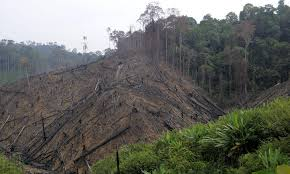 Homes, shops and many more things also take up forest, killing Orangutans fast. Orangutans are omnivores and eat a wide range of things. They have a not very fussy diet that is 60 -90 percent fruit and also contains bids eggs, leaves, bark and honey . They have many foods that they like but their favourite are strangle figs. Orangutan can go on a diet of bark and a few leaves for a month to two, this is called a starvation diet. Orangutans can be quiet picky with habitats. They live in forests with low, fertile soil but don't mind what tree they are in. 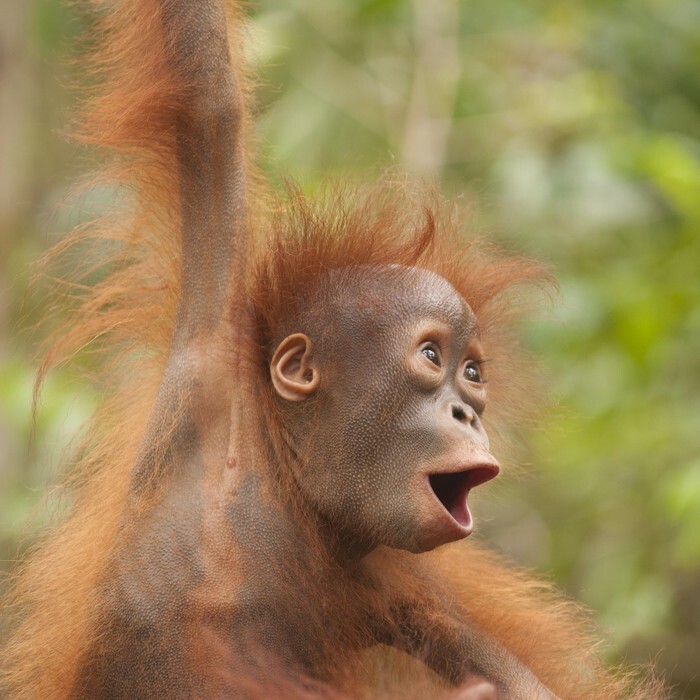 Three quarters of Orangutans live outside protected areas and half of the Orangutans in the world live in Indonesia. 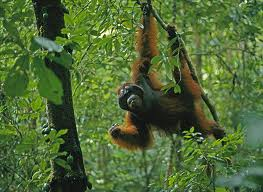 Orangutans sleep in nests high in trees at night they also have separate nests for day and time for naps. Explorers and researchers have noticed that old nests are brown and new and recent nests are fresh and green. Their nests are made out of leaves and sticks and are quiet big to hold more than one Orangutan. Share audio content online and completely free and post it anywhere on the internet. Croak.it is a voice technology tool that allows users to discover, collect and convey thoughts and expressions on-the-go over voice in 30-second audio snippets (called \'croaks\') with a single click. With its webapp, mobile apps, and the TALK BUTTON which lets businesses allow users speak on their websites, Croak.it aims to revolutionize all online asynchronous voice communication. Sign up now or download the free app. 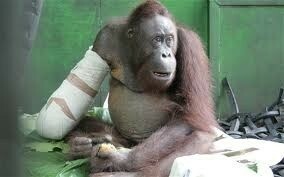 Some Orangutans are injured in the processing of a palm oil plantation. 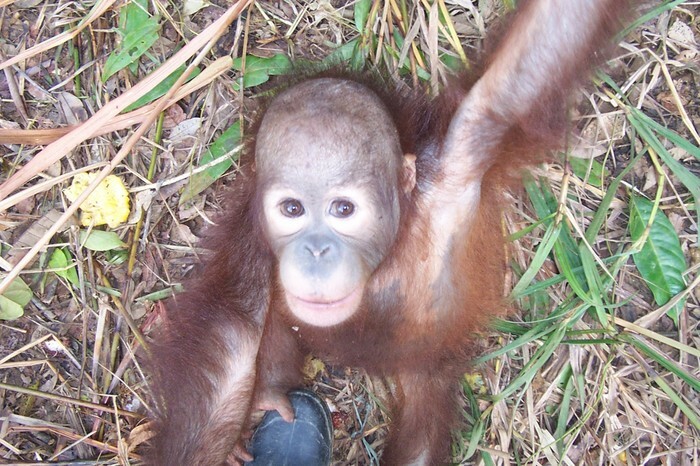 This young Orangutan lost it's home that was a tree that got chopped down in the planting of palm oils.